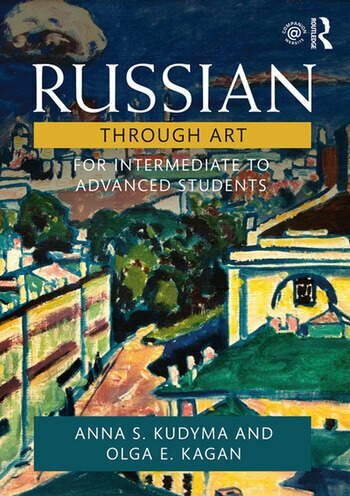 Russian Through Art: For Intermediate to Advanced Students develops all four language skills while enhancing students’ cultural knowledge through exposure to Russian visual arts. Each of the six thematically organised chapters is accompanied by an online lecture, readings, audio and video clips and assignments of varying levels of difficulty, starting with description and narration tasks and progressing to discussion and debate. Each chapter contains a number of task-based and project-based assignments. The book and website’s modular design make it easy to adapt this comprehensive resource to different course needs and different levels. By the end of the course students will have broadened their active vocabulary, enhanced their grammatical skills while familiarising themselves with Russian art in its various representations and periods. Anna S. Kudyma is Senior Lecturer and TA Supervisor in the UCLA Department of Slavic, East European and Eurasian Languages and Cultures. She holds a MA in Russian language pedagogy and a Ph.D. in linguistics. Her primary interests are language pedagogy and computer-assisted language learning. She is the coauthor of five textbooks. Olga E. Kagan is Professor in the UCLA Department of Slavic, East European and Eurasian Languages and Cultures, and director of the Title VI National Heritage Language Resource Center (NHLRC).